Chennai Super Kings are undoubtedly the most successful team in the Indian Premier League. Lead by MS Dhoni, the team has won 3 IPL trophies and has always been the team to beat. 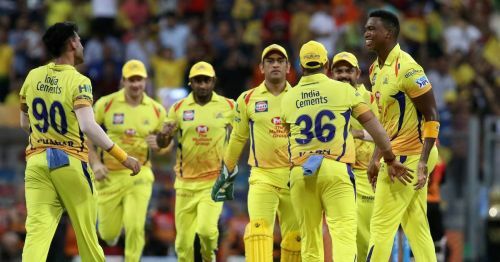 After serving a two-year ban due to compliance issues, the men in yellow made a roaring comeback in the 2018 IPL season by winning the final against Sunrisers Hyderabad. With a balanced side in hand, Chennai Super Kings didn't do much at the IPL auctions that concluded last week in Jaipur. The team management have brought in Mohit Sharma, who represented Chennai Super Kings in the 2013 and 2014 seasons, and they have also roped in a rookie in the form of Ruturaj Gaikwad. The 12th season of the IPL is expected to commence from March and is likely to have South Africa or Dubai as the venue for the first leg of the season. CSK will enter the season as the defending champions but this time things will be a bit different, and it would be interesting to see how the men in yellow perform. 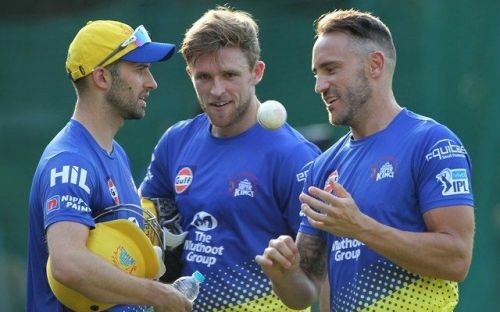 Chennai Super Kings possess the likes of Faf du Plessis, Lungi Ngidi and Imran Tahir who are experienced in South African conditions and will add a lot of impetus to the team if the initial leg is shifted to South Africa. In 6 IPL games in 2018, Du Plessis scored 162 runs at an average of 32.40. He was instrumental in Chennai Super Kings reaching the final as he played a brilliant knock of 67* against Sunrisers Hyderabad in the first play-off game. Lungi Ngidi was the surprise package for CSK in the 2018 season. In 7 games, the tall South African pace bowler picked up 11 wickets with best bowling figures of 4/10 against Kings XI Punjab. His ability to bounce the batsmen might create a lot of trouble for the opposition on South African pitches. Imran Tahir didn't play many games for Chennai Super Kings in the 2018 season but his experience is invaluable in South African conditions. In the IPL, Tahir has picked up 53 wickets from 38 games, and in case the season shifts to South Africa, the leg-spinner might just turnout to be the X factor for the men in yellow.